The Butterfly Compact Outdoor Table Tennis Table is the ideal choice for those families who are having limited room spaces and garden size. 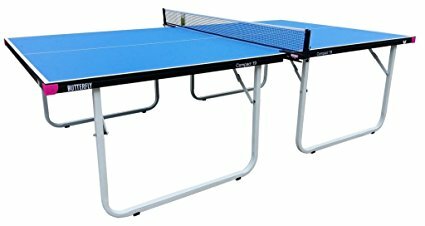 Also it is ideal for those who are cost conscious where they think the price to buy a full-size ping pong table can be too expensive for them. The table is come with a 12mm weatherproof table top which can provides players with excellent playability and it appears to be very durable and virtually unbreakable. This can be the table is produced with the premium quality materials. Besides, the table is well protected by strong metal frame and strengthened with metal bars. The table is divides into two equal halves as well as four easy to operate folding legs. Two wheels are set into the center edge of each table half to allow easy wheel away before and after use. The table takes a minimum storage as when the two halves are fold together, they only take up about 3 1/2 inches or 9cm in width. 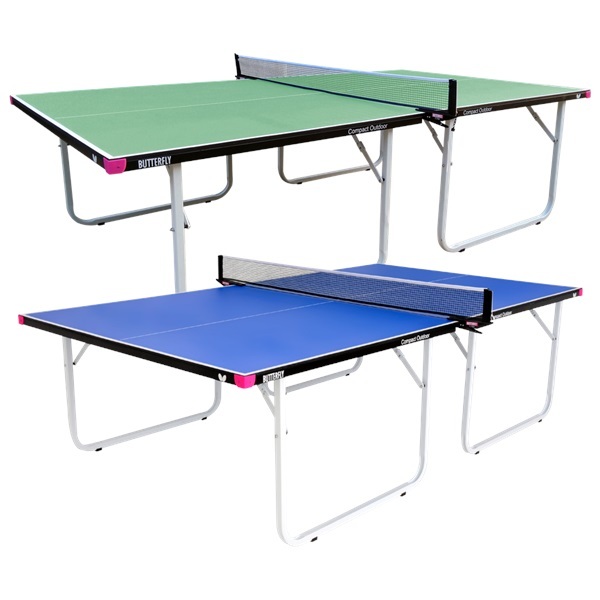 This Butterfly Compact Outdoor Table Tennis Table is delivered in ready assembled condition. Thus, there is no need for you to spend your time and energy on setting up the table. All you need to do is to take up the table packaging, set on the table, adding the net and post set which may just take you about 2 or 3 minutes to complete all the tasks and you are ready to play. The table is available in blue and green color for the table top playing surface with the track in silver leg. A protected weatherproof cover is provided for you when the table is in the storage position. A full-size net and post set, 2 reverse sponge bats and 3 practice balls are provided as well with the purchase of the table. All these equipments are well wrapping and is includes in a rubber cover to avoid the damage of the table. If you buy the table, you should know that you are actually entitled for 3-year warranty on the table. The delivery of the table is made by appointment and is carried out by special team. The Butterfly Compact Outdoor Table Tennis Table is really compact and mini in size. However, the bats the provided with the purchase of the table is not of good quality which won’t give player with good shot. Nonetheless, the table will still able to provide fun and fitness for all the family since most of the players are just amateur and they just want to have some good times to play the game of ping pong. 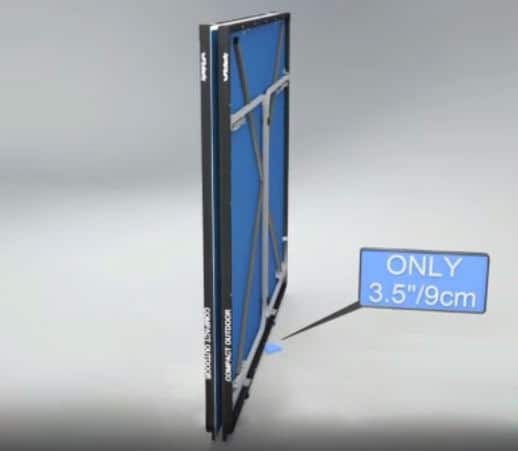 If you want to get some standard tournament size Butterfly table tennis tables, there is also post being discussed about them. You can refer to this link and read on.